Special rates are available for extended getaways and corporate travel. 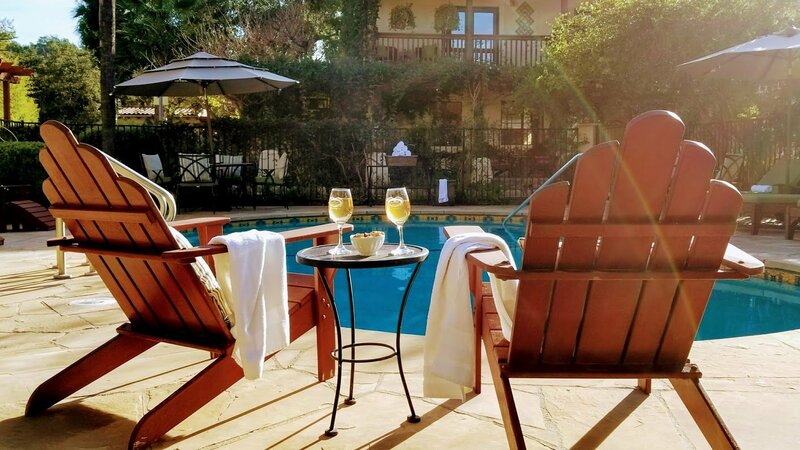 Take time to explore the Ojai Valley's wonderfully diverse attractions, events, and outdoor activities. Ask about our weekly and monthly rate packages. Our beautiful Hacienda Style bungalows are located just adjacent to the Blue Iguana. The courtyard entrance transports guests to an authentic California retreat, with private patios overlooking a forest of native oak trees. These bungalows are perfect for anyone needing some extra space or privacy. Each is fully-equipped with everything you need for a perfect extended stay. Please contact us directly at 805-646-5277 for more information.